We’re not sure the background on this story, however this video is causing public outcry on social media, because many believe this rude human let the dogs go purposely to chase the cat off his property. We can’t say what the real intentions are here, but as you can see this video proves that cats have AMAZING talents… They can even avoid the tallest of fences, WOW. 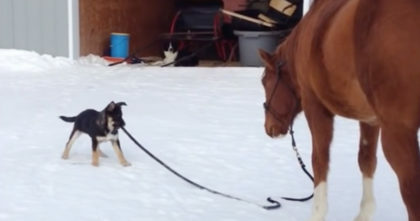 Many people are VERY unhappy about what these dogs were allowed to do and we agree, but this video does prove how amazing cats really are—I just can’t believe it! SHARE this unbelievable cat with your friends! 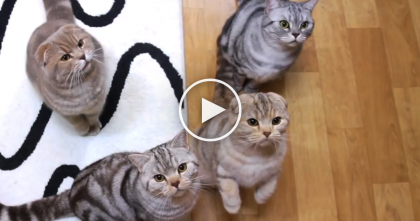 Fluffy Cats Meowing For Food Will Steal Your Heart, They’re Just TOO Cute To Miss!! 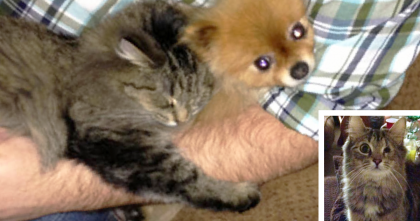 This Man Rescued A Cat, But When You See How She Repays Him… Your Heart Will Melt! 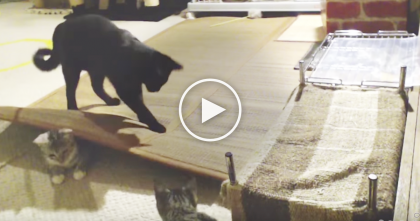 This Is What Happens When You Leave Your Cats Alone At Home… TOO Funny! 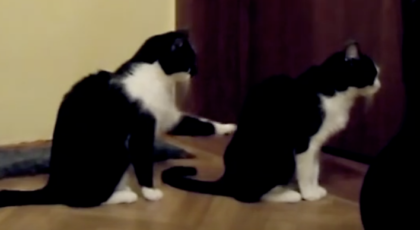 Cat Trying To Apologize To His Friend Finally Gives Up…But The Ending? It’s Totally Unexpected, LOL!